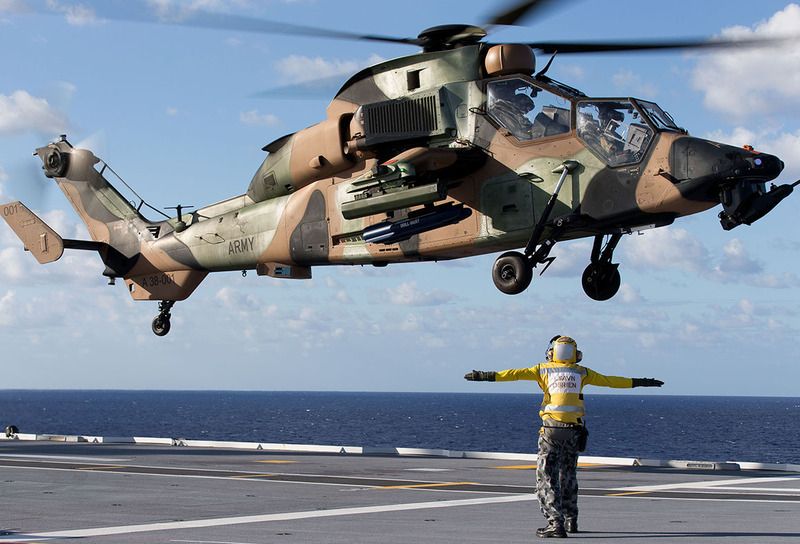 The Army formally celebrated 50 years of the Australian Army Aviation Corps on Thursday. To mark the occasion we have reproduced this feature article which originally appeared in the September 2018 edition of Australian Aviation. When the Australian Army Aviation Corps was officially formed in 1968, Australia was at war and Army pilots were flying Sioux helicopters and Cessna light aircraft in South Vietnam. 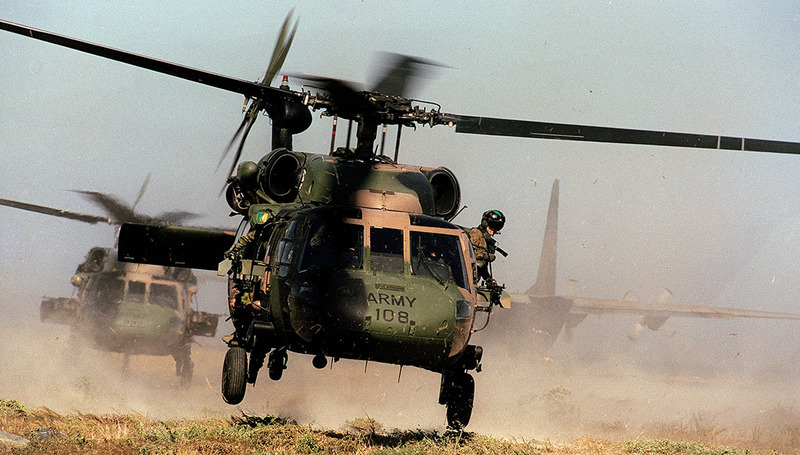 Half a century on, Australian Army Aviation is an all rotary-wing force with advanced and ever‑evolving capabilities. The next big step is to fully integrate this capability with the Navy’s two Canberra class LHD amphibious assault vessels, giving the Australian Defence Force (ADF) an unprecedented ability to conduct aviation operations within our region or further afield. 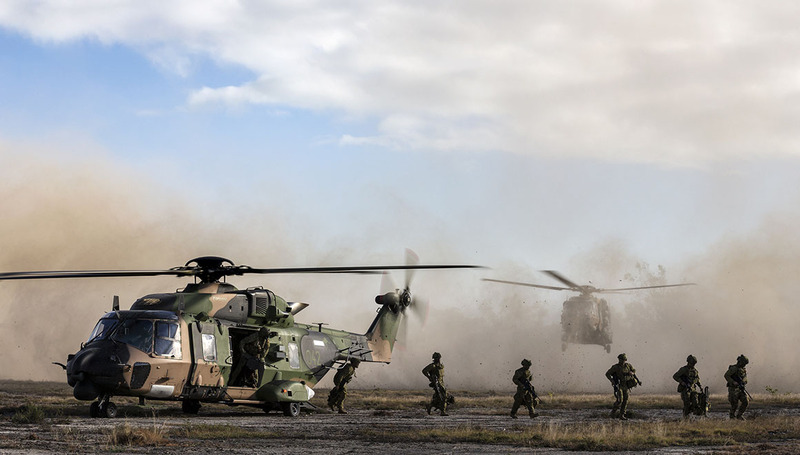 And after an extended period of operations supporting Australian and coalition forces in the Middle East, Army Aviation is refocusing on the growing prospect that the future could involve high-intensity peer-on-peer combat. But back in 1968 when the Corps was formed, the focus was supporting Australian troops in counter-insurgency operations in South Vietnam. “On July 1 1968 we had 106 officers and one NCO and we were operating the Sioux helicopter in Vietnam. We were a relatively small force with a proud tradition extending back to 1914,” says Brigadier Scott Benbow, Director General of Army Aviation and head of the Australian Army Aviation Corps. “Today we have 140 aircraft, we have 1,495 uniformed members and we have a deep industrial support base that enables those young men and women to do their jobs. We have more than 3,000 people supporting our capability. “We have one of the most sophisticated training systems in the world. We have extensive support and a very sophisticated command and control network to support this capability and we have a very effective combat brigade that enables this great capability to do its job for the Australian people. That now comprises 47 MRH‑90 Taipan transport helicopters, most based in Townsville with the 5th Aviation Regiment supporting 3rd Brigade. Seven are located at the Army Aviation Training Centre at Oakey, southern Queensland. The Royal Australian Navy operates another six from HMAS Albatross at Nowra, NSW supporting Navy fleet operations. After a troubled development, the MRH-90s are now approaching their promised level of operational capability. Out of an initial acquisition of 39, 18 Sikorsky S-70A-9 Black Hawks remain in service, all supporting domestic counter-terrorism and special forces, operated by the 6th Aviation Regiment from Holsworthy Army Base in Sydney. These are on their way out as Army transitions MRH-90 to the special forces support role. BRIG Benbow said that transition had started but the first MRH-90s won’t start flying in Sydney until January 2019. “When we moved MRH-90 into the 5th Aviation Regiment and into the training role we didn’t need the (Black Hawk) fleet size we had so we were able to put a lot into hangars,” he said. “Our Black Hawks aren’t the same as the Americans use. It’s a very early version with some specific modifications. Over time the configurations have deviated further from the American models. 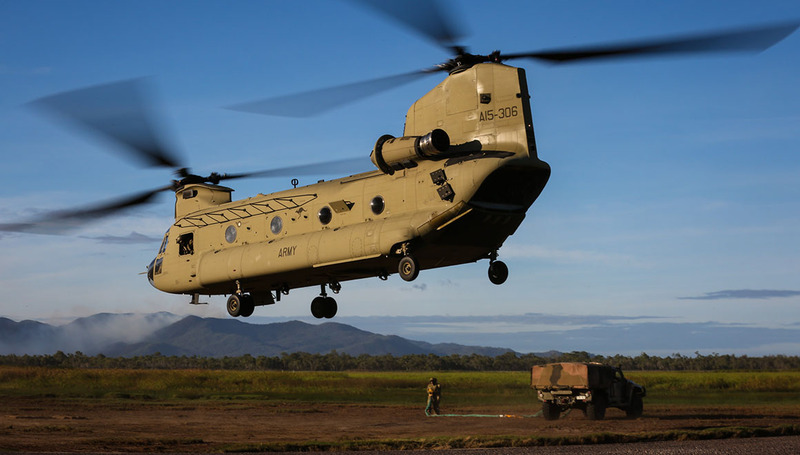 Ten Boeing CH-47F (Foxtrot) Chinook helicopters are in service, all operated by the 5th Aviation Regiment in Townsville. This is the latest version of the long-serving heavy-lift helicopter and has proved so useful that the initial acquisition of seven was increased by three. BRIG Jeremy King, Director-General of Army Aviation Systems in the Defence Capability, Acquisition and Sustainment Group, said we have stayed US Army-common with those aircraft. These are expensive, complex aircraft and keeping the CH-47 fleet close to the US baseline has allowed substantial operational cost savings. “In some areas such as amphibious operations we have made a conscious decision to diverge from the US. For instance, our aircraft have a rotor brake which allows us to operate safely from ships, which the US Army doesn’t have on its Foxtrots,” he said. The Army also operates 22 Airbus Helicopters Tiger Armed Reconnaissance Helicopters (ARHs), with 17 located in Darwin with the 1st Aviation Regiment and five at Oakey. These too underwent a troubled development but are now at or near peak capability. 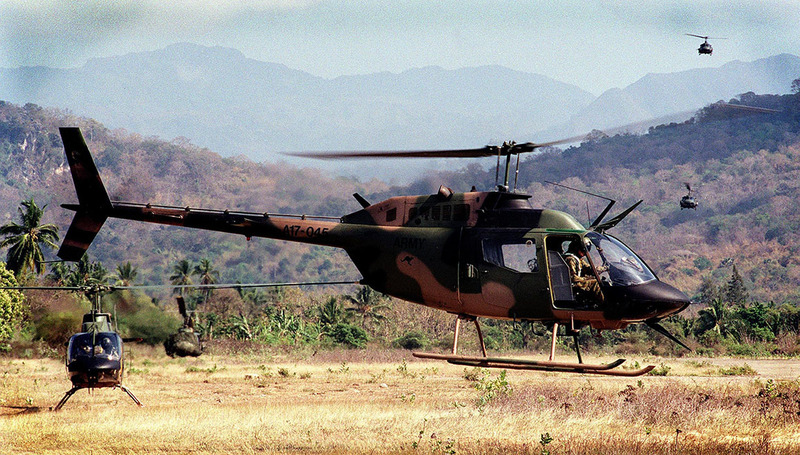 While the Australian Army Aviation Corps was formed in July 1968, Army Aviation goes back much further. The Australian Flying Corps (AFC), a branch of the Army, was formed in 1912, becoming the Royal Australian Air Force (RAAF) in 1921. With the outbreak of war, their first operational deployment was into Mesopotamia – modern-day Iraq – operating a small number of obsolescent and barely serviceable aircraft in support of British and Indian troops fighting against Turkish forces. In 1917, Lieutenant Frank McNamara became the first Australian airman awarded the Victoria Cross for heroism when he landed to rescue a fellow airman, downed while attacking Turkish positions near Gaza. By the end of the war, four AFC squadrons were flying in France, with 57 Australian pilots recognised as aces for shooting down five or more enemy aircraft. BRIG Benbow said the new RAAF, formed in 1921, focused on air power and Army aviation was put in abeyance. The Army’s interest in aviation in support of land forces did not fully manifest again until late in World War 2. That experience plus the conflict in Korea showed the Army needed aircraft specifically for reconnaissance, surveillance, fires control and liaison. Immediately after WW2, a small number of soldiers trained in the UK and were posted as instructors, creating a cadre of trained aerial observation post (AOP) pilots. Five went on to fly Austers on operations in Korea, with one Captain Bryan Luscombe killed in action, the Australian Army’s first aviation battle casualty since World War 1. Army pilots subsequently deployed to the Malayan Emergency, conducting patrols and reconnaissance along the Malaya-Thailand border and showing the usefulness of soldiers, familiar with the territory, flying observation aircraft. The Army’s 16 AOP Flight, initially formed in New Guinea in 1944 and disbanded after the war, was re-formed in Canberra in 1958. The same year, the Austers were replaced with the more modern Cessna 180A. Then in 1960, 16 AOP Flight and 1 Aviation Company were disbanded and 16 Light Aviation Squadron formed, equipped with Cessna 180A fixed-wing aircraft and Bell 47 Sioux helicopters. As Australia’s involvement in Vietnam escalated, 161 (Independent) Reconnaissance Flight was raised specifically to go to war. In seven years, the unit flew more than 72,000 hours on Sioux and OH-58A Kiowa helicopters and Cessna 180A, Pilatus Porter and Cessna O-1 Bird Dog fixed-wing aircraft. Three pilots were killed in action. However, the job of transporting soldiers to and from battle was performed by the RAAF’s 9 Squadron equipped with Bell UH-1D Iroquois helicopters, deployed to support the Australian Task Force in mid-1966. Initially this wasn’t a completely happy experience. 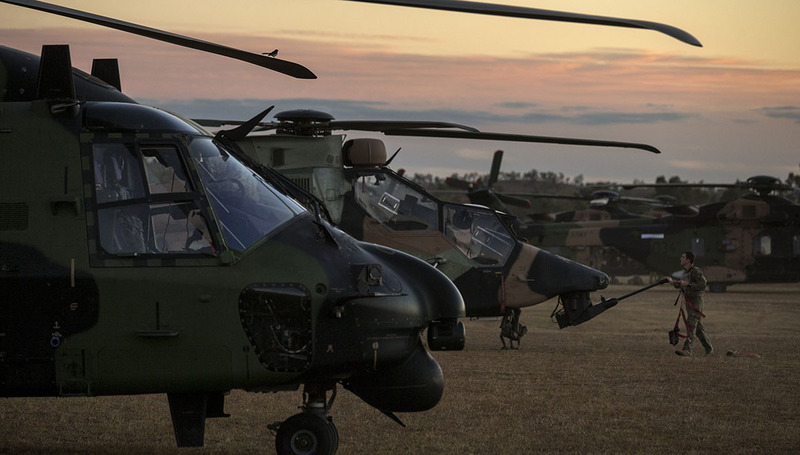 The Army complained that RAAF helicopters were restricted in what missions they could conduct by Air Board regulations framed for peacetime operations. At the same time US helicopters willingly performed higher risk missions such as landing and evacuating troops while under enemy fire. That peaked on August 18 1966 as the soldiers of Delta Company, 6RAR, ran short of ammunition as they fought off waves of attackers in the rubber plantation of Long Tan. Resupplying their ammunition was certainly a high-risk mission for the two available RAAF Iroquois helicopters which had earlier that day transported civilian performers to the Australian base at Nui Dat to entertain the troops. The weather was atrocious and they could expect enemy fire. The RAAF group captain in the Australian Task Force headquarters said he would need approval from Canberra, but allowed the mission to proceed when the two RAAF pilots said they were willing to take the risk. Flying at treetop level while the battle raged metres below, the two helicopters successfully dumped the desperately needed ammunition right where it was needed. Subsequently Army-RAAF relations and helicopter support procedures were much improved. But this, plus the unacceptable operational arrangement of having the Task Force at Nui Dat and the helicopters 50 kilometres away at Vung Tau, were remembered two decades later when the government, acting on advice from the Defence Chiefs of Staff committee, made a significant decision. Henceforth all battlefield helicopters would be transferred from the RAAF to Army. That transition took place over a number of years. The RAAF’s 9 Squadron, equipped with the then brand-new Black Hawks, and 35 Squadron with the UH-1H Iroquois, handed their aircraft and aircrew to the Army’s 5th Aviation Regiment, formed in 1987. 9SQN itself wound up in February 1989. With the Black Hawks entering service, the Army acquired a state-of-the-art battlefield helicopter, far more sophisticated and complex than anything previously in service and that led to a watershed moment in Army Aviation – the 1996 Black Hawk crash. In June 1996, two Black Hawks operated by the 5th Aviation Regiment collided while conducting a counter-terrorism exercise in the High Range Training Area near Townsville. Both crashed, killing 15 Special Air Service Regiment (SASR) soldiers and three members of 5th Aviation Regiment. BRIG Benbow said many lessons came from this disaster. “It was a real lesson in how we should manage complex systems, an understanding of the absence of the required levels of detail in planning and support to enable that system,” he said. BRIG Benbow said airworthiness wasn’t just about the technical quality of the system you are operating. “It’s about the environment, it’s about the configuration and training, it’s about having people in the right frame of mind with the right qualifications doing the right things. “In response to that, not only did we have a much more robust approach to logistics, supply, support and our operating environment but we also raised organisational structures to better manage aviation. While Army Aviation had a significant capability to move troops and conduct reconnaissance, it lacked any significant ability to attack enemy targets, other than that provided by elderly Bushranger versions of the Iroquois. That changed in 2004 with the decision to acquire the Tiger ARH. BRIG Benbow noted the progression of Army Aviation capability. “We started off in light reconnaissance, the aerial observation role and command and liaison. We extended that out into air mobility or as we prefer to call it these days air assault,” he said. “We extended that again with the Chinook, used for combat service support. We extended it again to special operations and special operations-type activities. The next big step is to finalise Army Aviation’s capability to operate from the Navy’s LHDs. BRIG Steve Jobson, commander of 16th Aviation Brigade (under which the 1st, 5th and 6th Aviation Regiments sit) said they were midway through development of a fully-fledged amphibious aviation combat element, involving MRH‑90s, Chinooks and Tigers under the command of an aviation regimental headquarters. 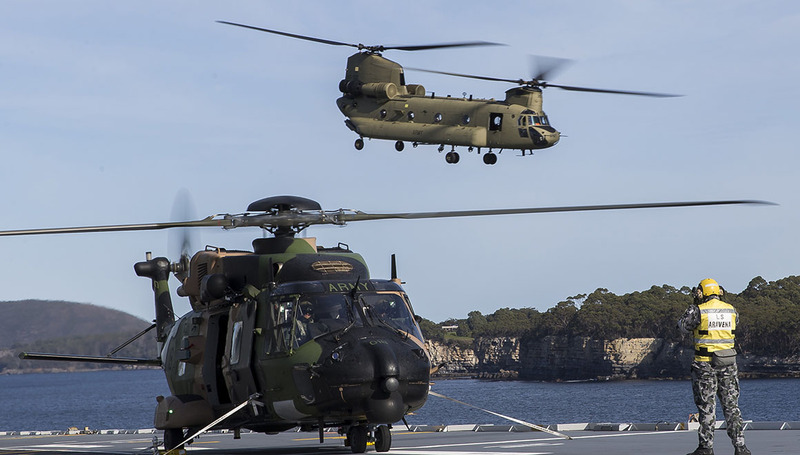 “We have seen MRH-90s and now CH-47Fs certified to operate at sea with the amphibious task group delivering a suite of advanced outcomes in that environment, outcomes never before achieved by the ADF in operating rotary-wing platforms off ships,” he said. In 2016, Army and Navy MRH‑90s operated off HMAS Canberra to deliver aid to cyclone-devastated Fiji. The next step is to fully integrate ARH into the amphibious aviation combat element. Initial trials have been conducted with further trials later this year. “This is a very significant step we will take with the ARH. A great deal of work has already occurred between the Army and Navy. We are on track to see effectively a final operational capability achieved through the sea series and Exercise Talisman Sabre 19,” BRIG Jobson said. That’s not trivial. It means Australia could despatch a task force almost anywhere, with embarked helicopters delivering disaster relief or landing and supporting troops for a stabilisation, peacekeeping or combat mission. 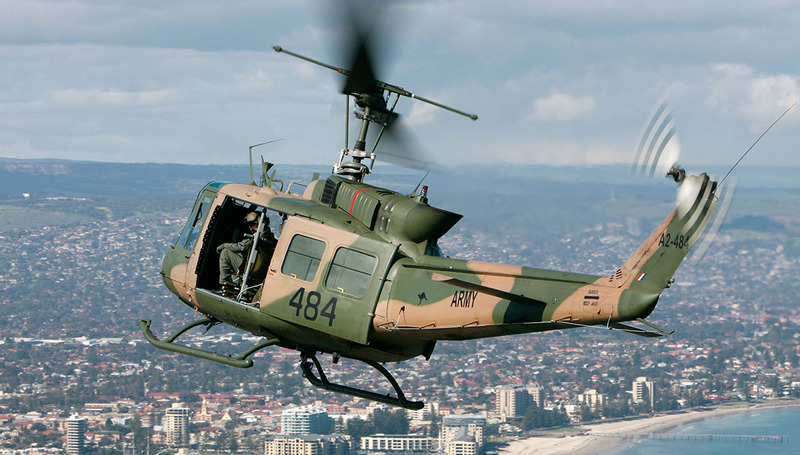 In its half-century, the Australian Army Aviation Corps has contributed to three significant warlike operations – Vietnam, East Timor and the Middle East. East Timor was the longest, starting in 1999 and ending in 2013, and involving Black Hawk, Kiowa and King Air aircraft. This was also the longest period of providing aeromedical evacuation services for a deployed force. “We are very, very proud of our record through that operation and we are very, very proud of our complete success in delivering aeromedical evacuation support,” BRIG Jobson said. Every day of the week ADF helicopters are available to assist in domestic disaster relief if requested by civil authorities, and overseas humanitarian operations. Throughout its history, Army Aviation has deployed to many non-warlike and humanitarian operations, including Cambodia with the United Nations, Papua New Guinea, Indonesia, Pakistan, the Solomon Islands and Fiji. Significantly, there’s also domestic counter-terrorism, with the Army’s remaining Black Hawks operated by 171 Aviation Squadron in support of Special Operations Command. “At any time we have groups of Australian special forces and men and women of Army Aviation, aircrew technicians and support personnel either training or at a heightened state of readiness,” BRIG Jobson said. Their missions have included the 2018 Commonwealth Games, Sydney 2000 Olympic Games, Commonwealth Heads of Government Meetings (CHOGM), APEC, the G20, 2003 Rugby World Cup and visits of the Pope and foreign heads of state. 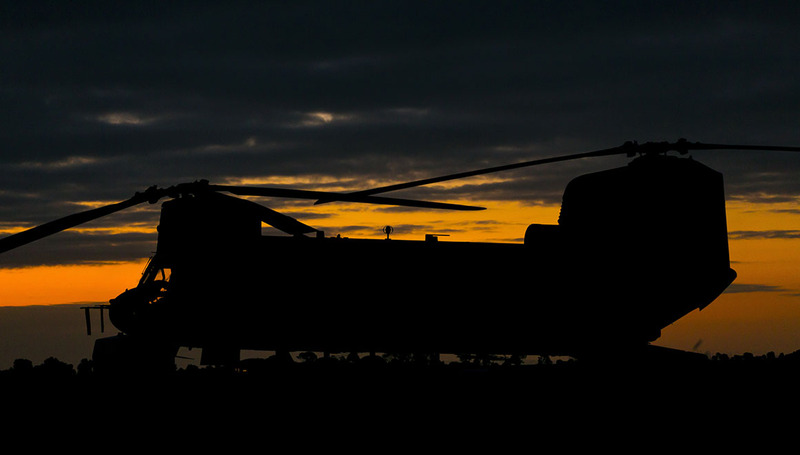 Army Aviation features modern equipment, skilled personnel with operational experience and effective support systems, so what more is there to do? BRIG Benbow said their work was not done and there was always room for improvement. “We are proud of the achievements of recent years in getting to this level of performance. The next level for us is how we approach the new digital age,” he said. “We are leaning very aggressively into the unmanned aerial systems space – how do we use the technology available to us to improve our capability, how do we improve our persistence, how do we improve our surveillance and reconnaissance, how do we reduce our maintenance liability, how do we make our aircraft more agile? New capability is on the way. Already the Tigers and Army Shadow unmanned aerial systems (UAS) conduct what is called manned-unmanned teaming, an advanced and sophisticated ability which is set to expand. In simple form, a Shadow can look over a hill, spot enemy forces and convey targeting information to a nearby Tiger. “We can employ the Shadow in its ISR role and complement that with ARH to overlay that reconnaissance and also execute a strike,” BRIG Benbow said. BRIG Benbow said developing the amphibious aviation capability was the key focus for the next 12-18 months, and also considering the possible character of future war. “We have been drawn into the Middle East type-conflict. Now we are refocusing our efforts towards high-end complex multi-domain type combat scenarios. They are the most challenging combat scenarios. That is occupying a lot of our time. It is quite an exciting time to be involved with this capability.